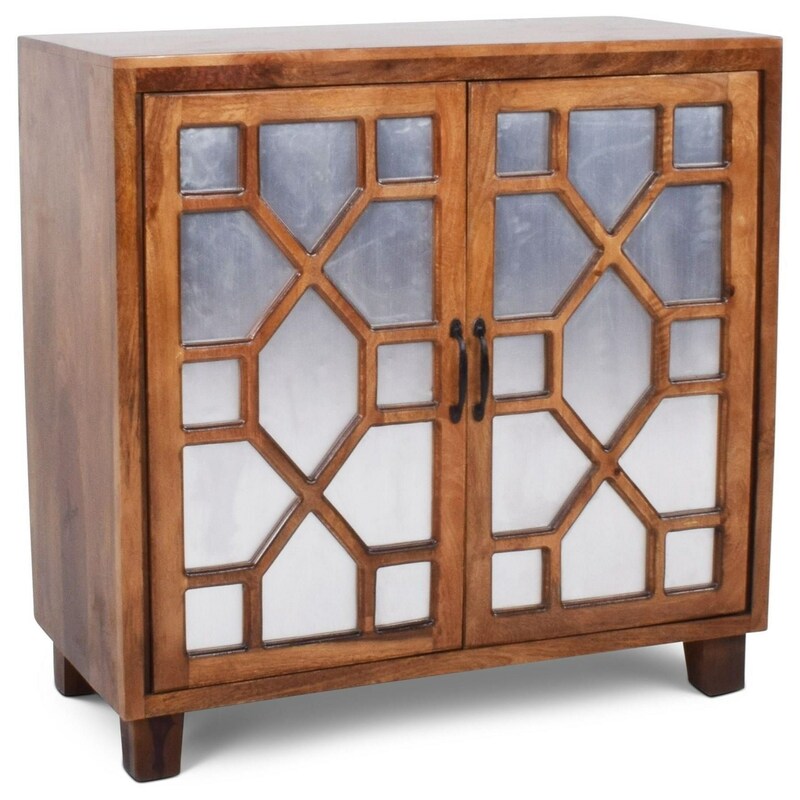 With its symmetrical wood design on top of inset iron, this cabinet creates interesting shapes and an interesting juxtaposition between two materials that's sure to stand out in your decor. You'll also appreciate the inside of this piece too since it features a shelf in the center of its interior, a wire management opening just above this shelf, and another wire management opening at the front of its case bottom. The India Accents Contemporary Savannah Cabinet with Iron Door Fronts by Steve Silver at Northeast Factory Direct in the Cleveland, Eastlake, Westlake, Mentor, Medina, Macedonia, Ohio area. Product availability may vary. Contact us for the most current availability on this product.